At every family gathering there are heaps of food, gifts and of course – beer. Every family has at least one beer lover, who will be casually sipping on a brew throughout the entire night. What gift should you buy for this person? Here are some ideas so you can get creative. From bottle openers to koozies, this list has something for every beer lover out there. Cheers! An insulated, carbonation-preserving design keeps beer, cider, and kombucha at their crisp, bubbly best for up to 24 hours. Great for a beer drinking, growler loving guru. Craft brew connoisseurs can collect caps and proudly show off their quest for the best in hops with this handcrafted beer cap map. This infographic poster serves up a heady brew of history, graphic design, and spirited fun. With these clever fridge storage strips, your bottles will hang out in a cool loft dangling above the milk and cheese. Each strip features three super-strong neodymium magnets–two strips secure a six pack of your favorite beverage bottles to the ceiling of your refrigerator, keeping them handy and freeing up space for other food. Open that next beer with the rustic charm of this horned bottle opener. Bonus, it looks good enough to leave on your bar top to enhance your decor. Perfect for your guy that loves the beach and a cold beer. 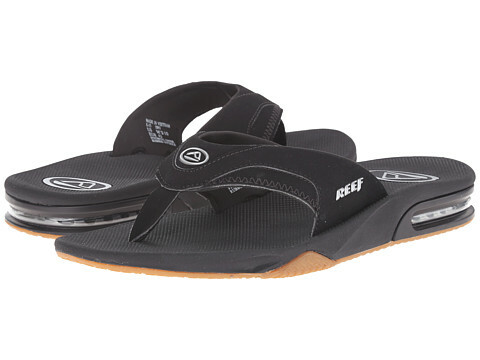 With these sandals he’ll never step on a pop top or be without an opener. This humorous parody of a children’s literature classic is a “pitcher book” for grown-ups. The perfect bedtime story for beer lovers everywhere! Keep your hands warm and your beer cold with this ingenious glove for you hand and beer. Drinking beer is great, but drinking a beer that you made yourself is rewarding. Cheers, you earned it. After you’ve made your own beer, accessorize it with your own custom label! This kit includes an online software and templates to make the design process as easy as possible. This is the perfect way to make your apartment look more festive. Plus, we are sure people won’t judge you for keeping these up all year round. For those times when you don’t have an ice bucket with you to keep your beer cool, stick one of these chiller sticks in your beer to keep it cold. Basically, these sticks are like having a portable refrigerator. This 8-pack of coasters contains different humorous quotes relating to beer, keeping you entertained even when you put the bottle down. Ever wonder what type of beer you should drink during things such as a lunch meeting or graduation party? This book gives the best type of drink you should be having during various life situations, because keeping it classy is always a good idea. For when you’ve bought a mini keg and want to keep it cold, put it into this mini fridge and you’ll be the life of the party. For when you want to conduct your own beer tasting and also want to keep it classy. This is the perfect decoration for beer lovers. By filling the box with your bottle caps as you go, you can watch it get more and more full. Who said that only men can be beer lovers? For the ladies in your life who can appreciate a good brew, this bracelet will be a prime accessory, as it includes a charm that is also a bottle opener. Every beer drinker knows that once a beer has been sitting out for awhile, it loses its initial distinct aroma. You won’t have that problem any longer after you put your beer on this booster, push the button and watch it do its magic. This glass also functions as a bottle opener, to make your beer drinking that much smoother of a process. If you’re over the sticky red Solo cups, then get this mini beer pong kit. Its wood finish and slingshot appeal allow for a more fun, yet grown-up beer palette. A beer lover’s gotta eat, too. This beer jelly has the classic sweetness of a jam while also incorporating the traditional ingredients of beer.